You’ve all been following what’s up in Turkey, right? Of course you have. 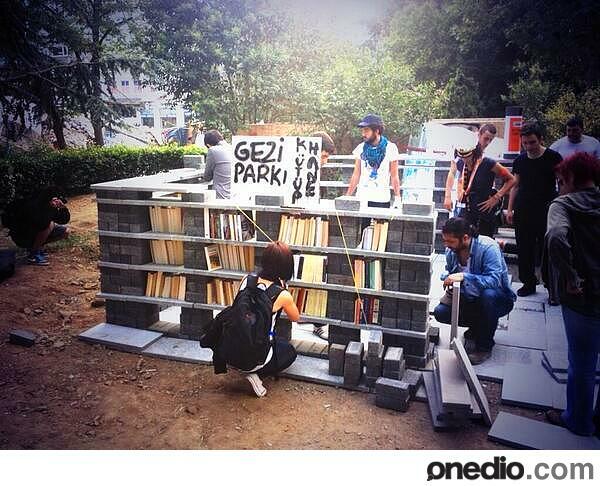 Turns out that park occupations continue to produce libraries. 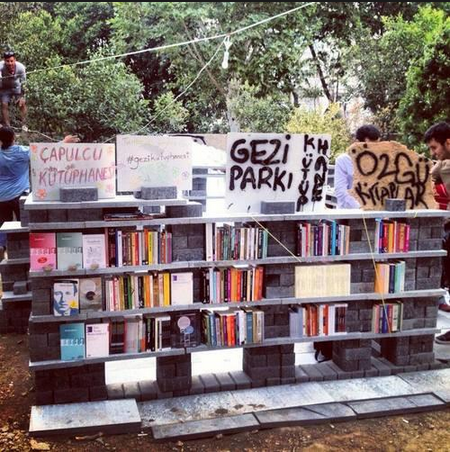 Seems that folks have up and built one in Taksim Gezi Parki in Istanbul. Further images & text in Turkish here; brief article in English here. ETA: This following photo landed in our inbox this morning. Enjoy. 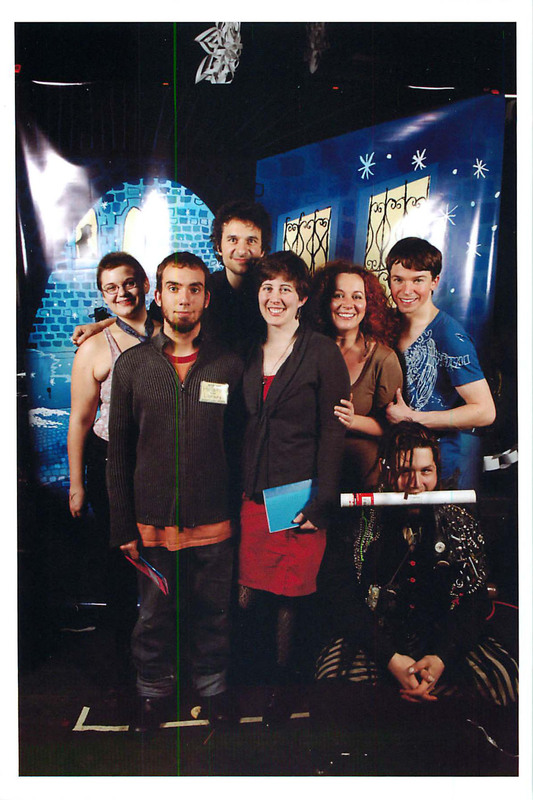 A couple weeks ago we got invited to the librarian social event of the season, Biblioball. Aren’t we pretty? I want to write all about the day in detail – our working group (aka, our library family) spent the day of action spread out all over the city working independently and also working together. We had our online and off-site folks in charge of keeping the blog and twitter updated and running info for those who were on the street. We were marching; setting up the library at Liberty, Union Square, Foley Square and on the Brooklyn Bridge; running mobile libraries from carts; coming up with awesome chants; meeting people and taking donations; telling our story and so much more. At the end of the day we stopped at an Irish bar across from the WTC site and had dinner, beer and a meeting. There’s so much to write, and I’m exhausted and have to work/school tomorrow. So instead, here are some of my photos. 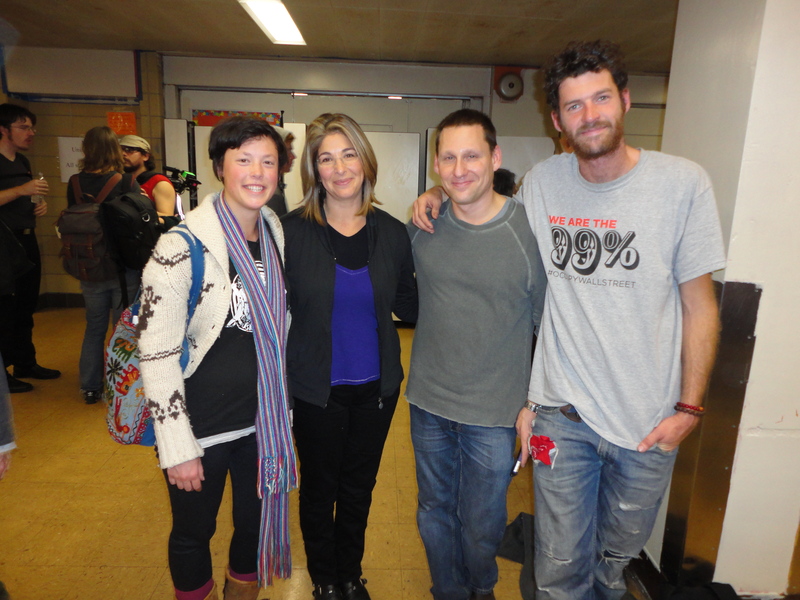 <3 and solidarity. 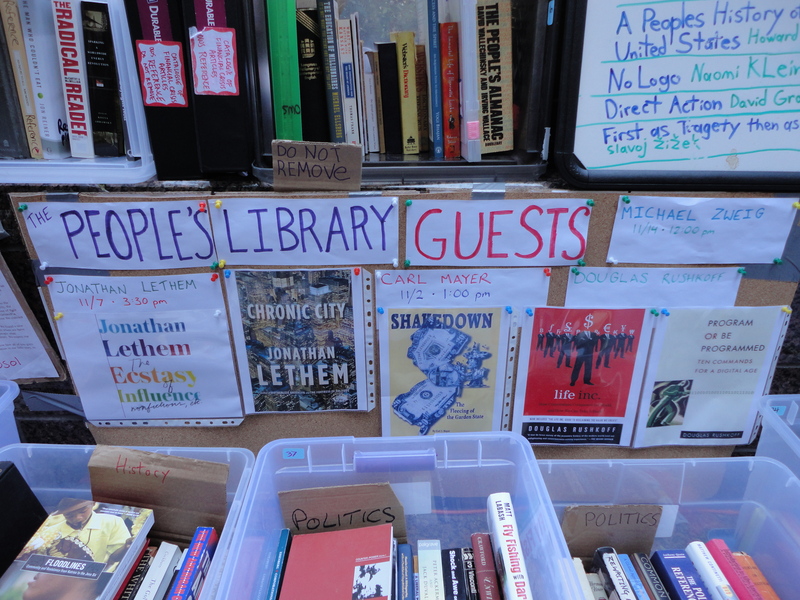 The People’s Library at Occupy Wall Street has been fortunate to host a number of special guest speakers in recent days including Carl Mayer, Jonathan Lethem, Lynn Nottage, Jennifer Egan, and Douglas Rushkoff. Upcoming are Michael Zweig and Daniel Pinchbeck. 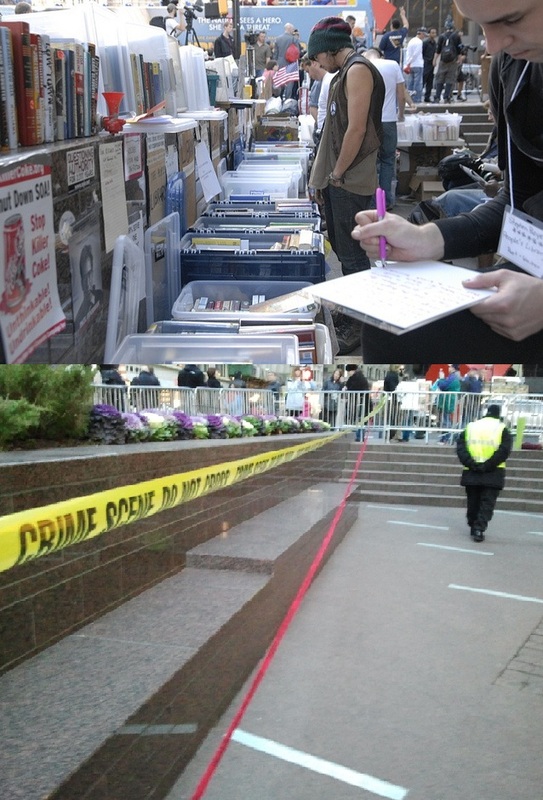 Filed under Announcements, Photographs, Steve S.
Filed under #OccupyBoston, Photographs, Steve S.